A Canadian man is suing two doctors and a medical center for failing to appropriately diagnose and treat him for Lyme disease. According to his Statement of Claim, Frank Papineau of Ontario was bitten by a tick in 2010 and began experiencing severe symptoms. Though he was under the care of the defendants for two years, he says they never evaluated him for Lyme disease. “Ontario, Canada resident Frank Papineau has had enough and is seeking redress from the courts alleging negligence against two physicians and the Kemptville District Hospital. “The trial begins November 26th, 2018 and is slated to last four weeks, indicating just how seriously this case is being taken. 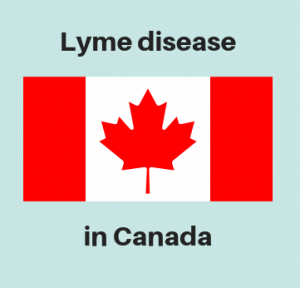 “Other Canadians with Lyme disease, their families, physicians, patient advocacy groups, and others not only in Canada but around the world will will be following this case with great interest to see if the courts can begin to offer protections for the abuse of thousands of patients by the current health care systems that has failed them so miserably. “Making this more significant is that it is taking place in Canada’s capital city, Ottawa, Ontario, under the nose of the federal Public Health Agency of Canada, and federal legislators that to date have done little to bring ethical treatment of Lyme disease patients to the offices and hospitals of Canada. “Also situated in Ottawa is the multi-billion dollar Canadian Medical Protective Association (CMPA), a non-for-profit deep-pocketed fund that physicians have access to for the legal woes and costs. “This is truly a David-against-Goliath case where the physicians have this access to mega-millions of dollars for their defence, as opposed to any individual. “One has to wonder where the CMPA was while almost 100% of Canadian physicians, who appropriately diagnosed and treated Lyme patients clinically, were forced out of business or forced to stop treating Lyme patients simply because they chose to not follow very-restrictive opinion based (not science-based) guidelines imposed upon Canadian doctors via the Association of Medical Microbiology and Infectious Diseases of Canada (AMMI). “The Board also finds that the Committee reached an unreasonable decision when it decided to caution the Applicant for failing to document the rationale for not following the recommended guidelines for treatment of Lyme disease. The Board notes that the Applicant’s consultation letter to the patient’s family physician, dated December 10, 2010, contained a detailed explanation for the treatment recommended by the Applicant. My thanks to CanLyme for providing this information. You can read Frank Papineau’s Statement of Claim here.